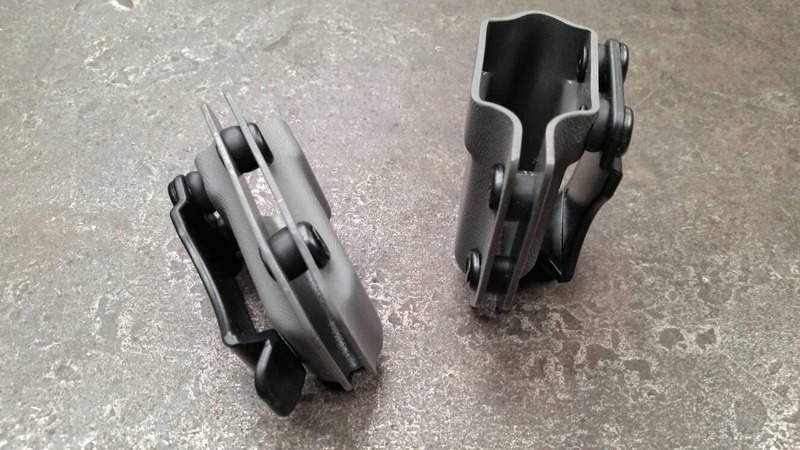 This is a spare mag holder for IWB or OWB. 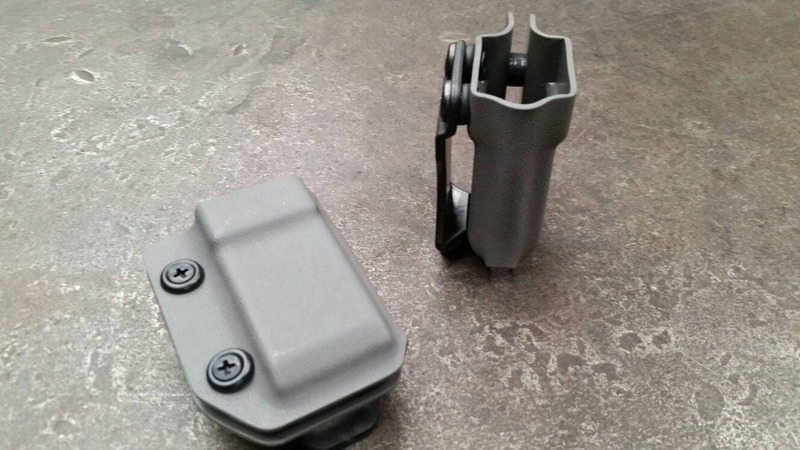 It can also be used on your gear bag, your visor or anywhere you made need to carry an extra mag! 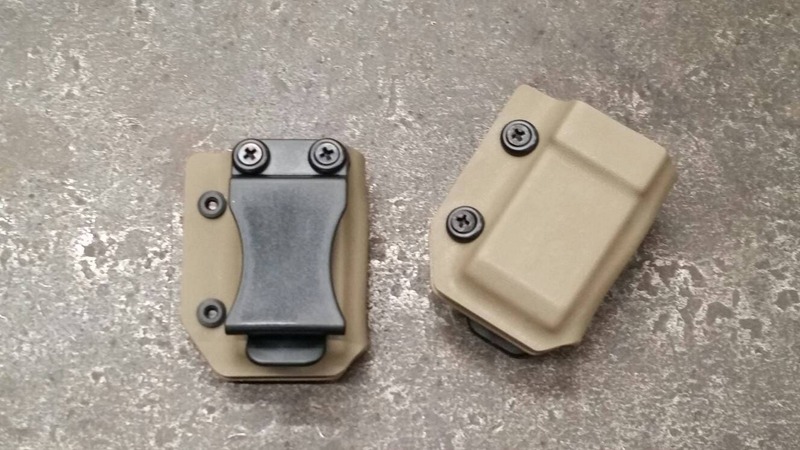 This is the answer to the concealed extra mag problem. 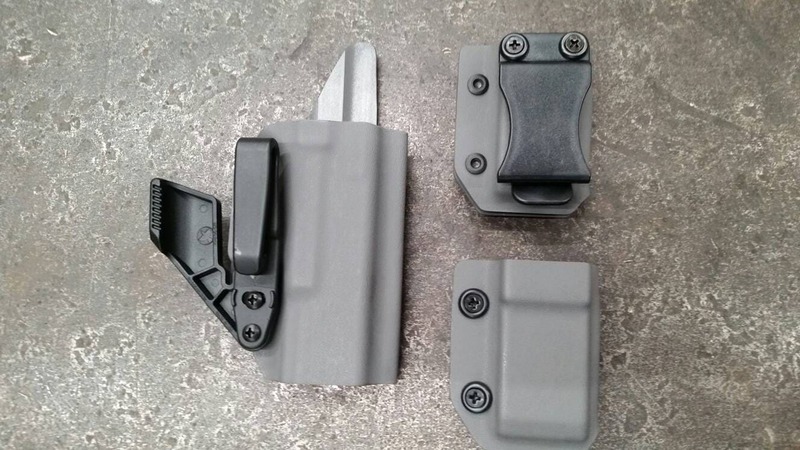 These carriers allow you to install your mag facing anyway you'd like. Bullets facing forward or to the rear. 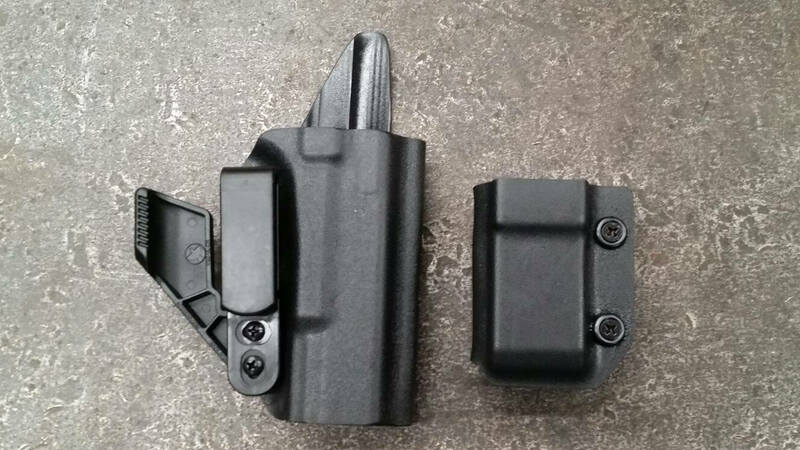 They will adjust to fit almost every double stack mag on the market! These are available in Black, Flat Dark Earth or Gray. 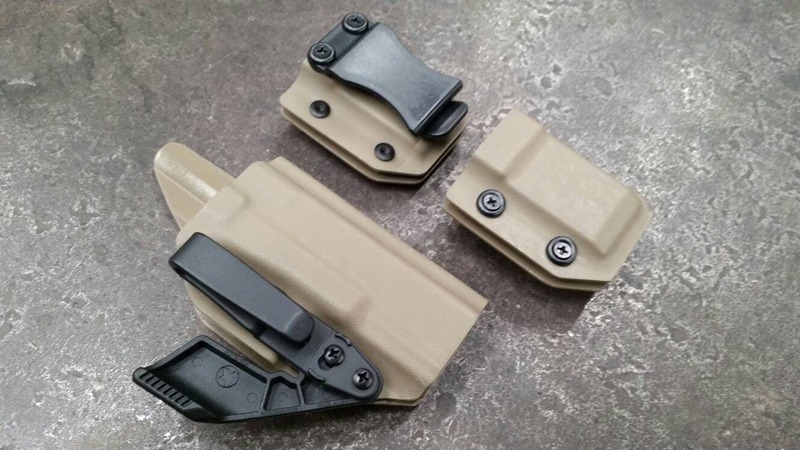 This item is made of the same quality ,080 Kydex that our OWB holsters are made of. 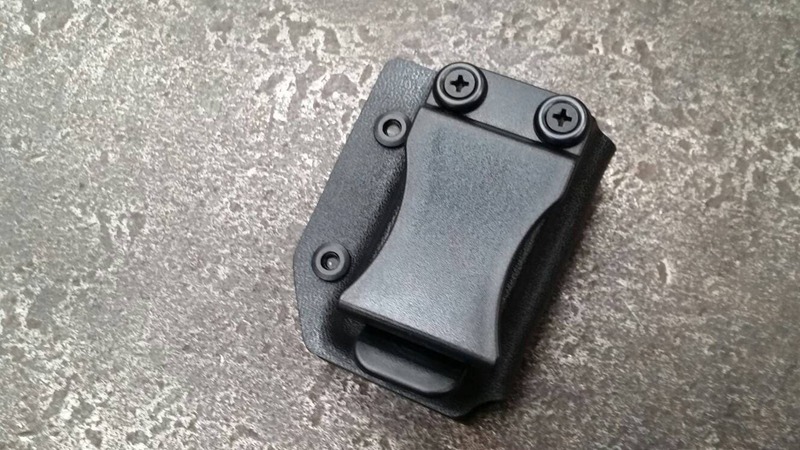 We also us a 1 3/4'' Quick clip belt clip. 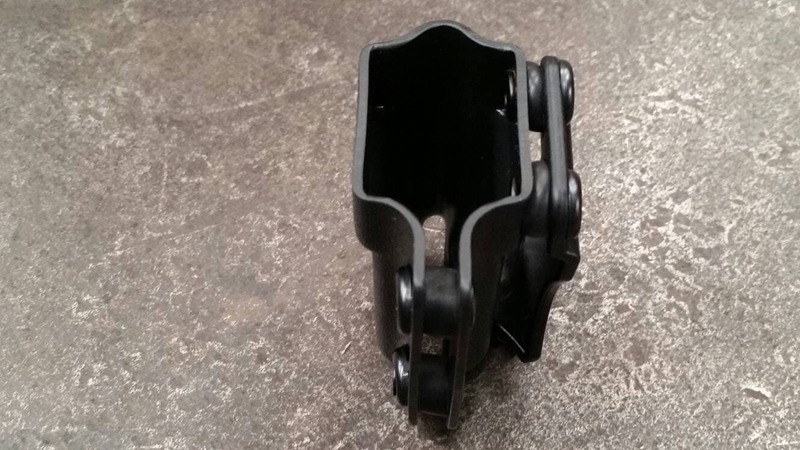 This allows you to use this holder with or without a belt. 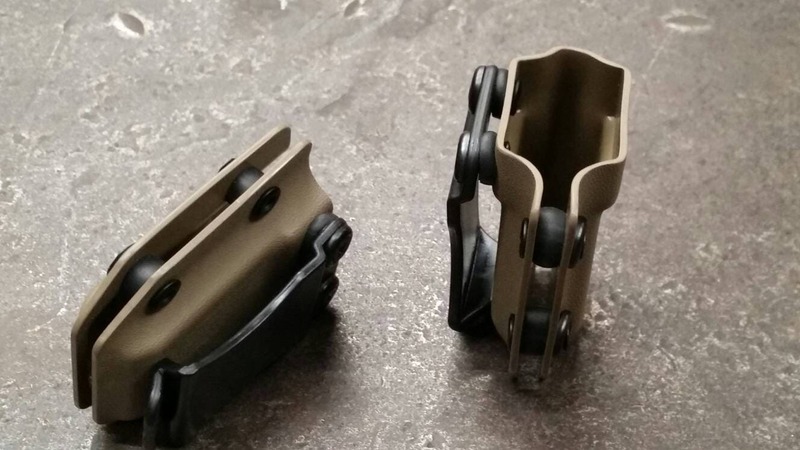 Try these extra mag holders and you will not be disappointed. They are a great addition to a I.W.B. or O.W.B. holster. 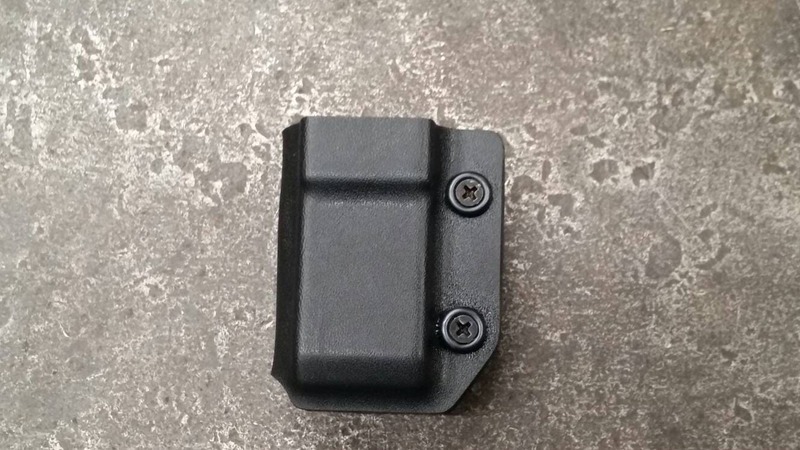 This is for the spare mag carrier only. The I.W.B. holsters in the pictures are sold separately.